A student loan can be a convenient way of offsetting your college or university tuition, be a way to buy books and pay for some of your living expenses. Its popular among scholars as it’s slightly different from other types of loans mostly due to its substantially lower interest rates and a longer payment schedule especially when the borrower is still in school. Just like any other loan, it requires the discipline to borrow and payback within the agreed terms as a way to maintain a healthy credit history. Some people are wary of borrowing money and understandably so. According to the Wall Street Journal, the average student graduating in 2015 had a loan debt of close to $35,000. Having too many student loans can prove to be a bit of a burden. If you do need to borrow, maybe to pay for your final degree, knowing the right loan to apply for can put you in a more comfortable position. Any type of loan is a personal commitment. But all in all, student loans always prove a necessity for young learners who want to fulfill their dreams. The special terms and provisions in student loans allow young people everywhere to afford and manage their education. Students hence take advantage of the more flexible payment plans and schedules which, compared to standard loans, offer great convenience. 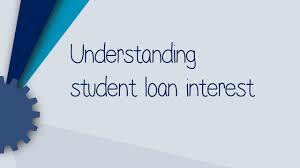 There are two types of student loans; federal loans and private loans. They both serve to represent the interests of a student occupation requirements and have clauses that make it manageable and more accessible to the borrower. Federal loans are more flexible as they offer the students a chance to borrow loans at very appealing terms. They are allocated in accordance to the financial needs of the borrower and almost every college or university-bound student will qualify for this government loan. In fact, programs that have been sponsored by federal lenders eg the Perkins or Stafford Loan both offer low and fixed rates on top of deferred payment options for college students. These are both attractive programs that offer a subsidized options for the borrower. With a subsidized option, the student enjoys the help of the government to offset the interest rates for as long as the student is enrolled at the school. Private Lenders on the other hand are not exactly as flexible as federal loans. However, they still offer awesome benefits to the student compared to non-education normal loans. Private loans are given on the virtue of the borrower’s credit history and students more than often turn to cosigners (parents, guardians and relatives) when they can’t match this criteria on their own. A cosigner hence is an important player in this type of setup as they allow the student to secure a loan and still enjoy low interest rates and a lenient repayment schedule. In addition to this, a student gets the chance to also develop a better credit history with this kind of help. Private lenders offer lower interest rates than the standard loan and offer a deferment option to allow the student time to postpone the payment until after graduation. However, interest rates are not affected any this deferment exercise and will continue to accrue over the silent period. Taking a loan from a lender that deals exclusively in student loans also offers other benefits in their own right. Most of the lender services are tailored to meet the needs of students and they go as far as building student loan packages. The advantage that these type of loans have over private student loans is that they don’t come carrying unnecessary hidden fees. In many circumstances, private lenders will offer discounts and other incentives in order to attract borrowers. According to a student’s borrowing qualifications and history, early repayments penalties, fines and other charges may be waived completely by banks or private lenders, another welcome benefit. Discover Student Loans are a trusted lender to apply for a private student loan to help you pay through college. They offer categories for different professions like under graduate, graduate MBA student, health professions, law, residency and bar exams. They cover up to 100% student-certified college costs with zero charges on applications, no origination and late fees. American Education Services offers a wide range of tools and resources to assist a student and their family to plan for higher education. You can take advantage of their decades of expertise in guiding students and families through the process of planning for and finding funds for higher education.